I had an indoor aquaponics system that got overrun by aphids so I shut it down prior to sourcing fish in the system (the fish are relatively expensive). Our new outdoor aquaponics system is now completed but more water tests are still being conducted before plants and fish will be added to it. 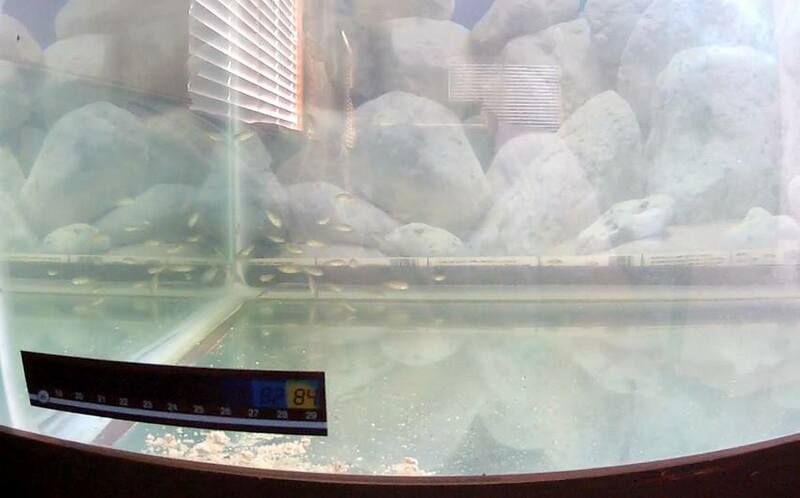 In the meantime we now have 25 Blue Tilapia in a 75 gallon aquarium at 84 degrees F in a breeding tank. 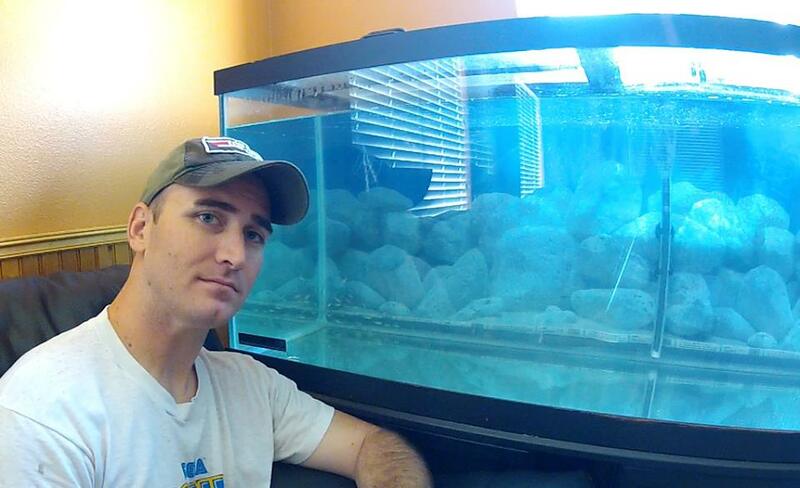 As the fish get bigger we will have 1 male stud and 5 females in this tank. The rest of them will go into the outdoor system. The intent is to eat these fish. They will mature to plate size in 9-12 months. If you have other questions, hit up the comment section below.